Thank you to LiftMaster for partnering with me on today’s post. As always, all thoughts and opinions are my own. Occasionally, we’ll make updates around our home in areas that don’t really excite me, so they rarely make the blog. For example, the workout room Kurtis created in our unfinished basement or the cat bedroom (also in the basement) we’ll occasionally refresh. Typically, our garage is one of those “uninteresting to me” places, but today I’m sharing a few updates we made recently that have me excited! But first, a little backstory. So often I share tips and tricks to make the inside of our homes more welcoming and beautiful. But all of that is completely irrelevant if we don’t feel safe and secure in our own homes! Recently, our neighborhood has had an increase in garage break-ins. 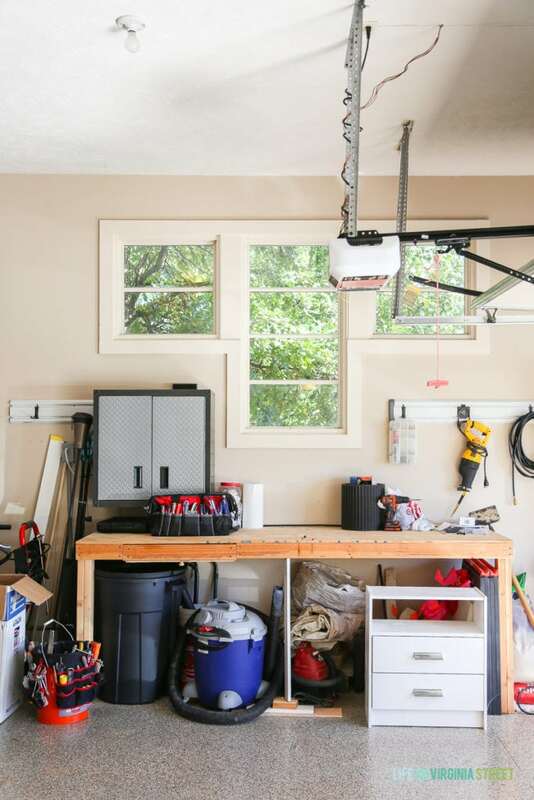 Burglars have been using the garage as a way to gain access into the house, have simply taken a few items from the garage, and in some cases have stolen vehicles. One of the thieves ran through our backyard as part of his escape plan (the police caught him at the end of our street, thankfully). But, to be honest, it’s all really scary. So, first on our garage update list was finding a way to better secure our garage. We have an alarm system for our home, but had nothing at the time to protect our garage. 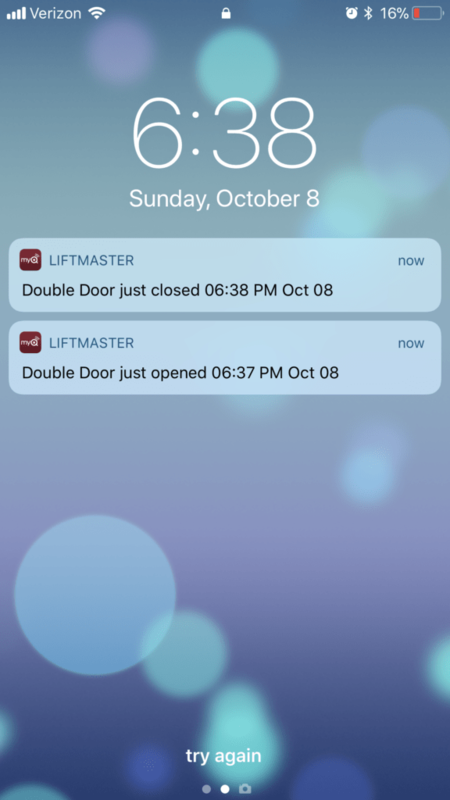 About a year ago, Kurtis noticed our then current LiftMaster garage opener panel had the option to set an automatic close for both of our doors. Essentially, you can pick the amount of time that your door will auto-close if nobody is in the garage. We had ours set to 20 minutes, so that if we accidentally left the door open at night, it would automatically close after those 20 minutes were up. That was certainly an improvement. 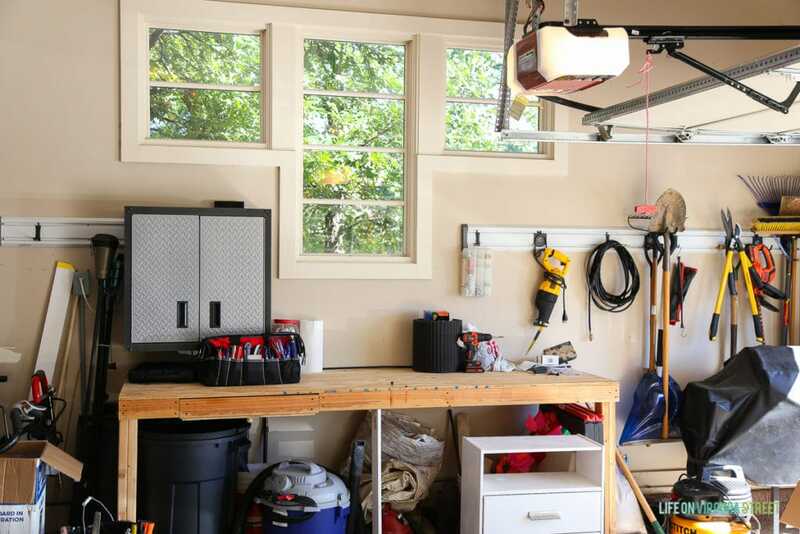 However recently, LiftMaster created an Automatic Garage Door Lock that is an added accessory compatible with the LiftMaster 8550W, 8587W and 8360W garage door openers. It’s essentially a like a deadbolt for your front door and acts to secure your garage in a similar manner! 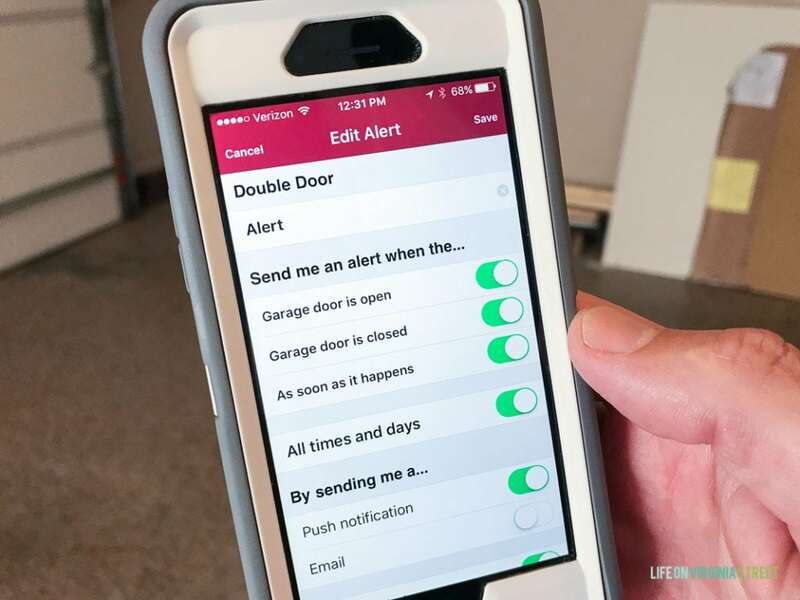 A few weeks ago, we had two new garage door openers installed (we chose the LiftMaster 8550W Wi-Fi Garage Door Opener and Automatic Garage Door Lock) so that we could also use the Automatic Garage Door Lock feature. The pair are also compatible with the auto-close feature we loved so much in the past. We love that each and every time we close the garage door, the lock sets. When we use our exterior panels or garage remotes, the lock releases prior to opening the doors. You can actually hear when the lock sets so that you know your garage is secure. 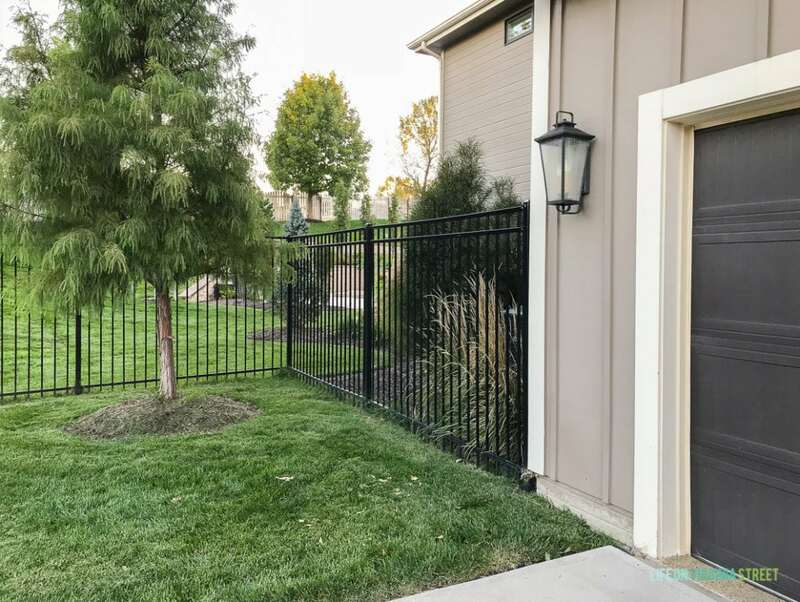 It gives us so much peace of mind knowing that our garage is locked up tight each and every time we close the doors and that our garage is virtually impenetrable. 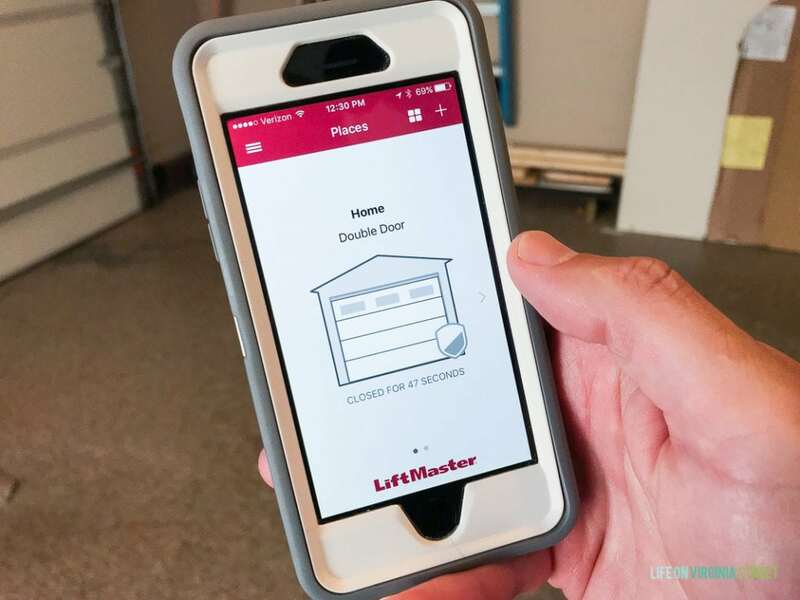 If you’re interested in this revolutionary system, be sure to visit LiftMaster’s site for dealer lookups in your area! For those of you that are local, we had Omaha Door & Window install our sets and we were very pleased with their service, friendliness and timeliness! We are also in love with the MyQ App you can use with this set. We can check any time to see if our doors are closed, and if they’re not, we can close them from our phones. The app also stores a log of when the doors were opened and closed and you can enable alerts for each time the door is opened and closed. It’s a super slick process! 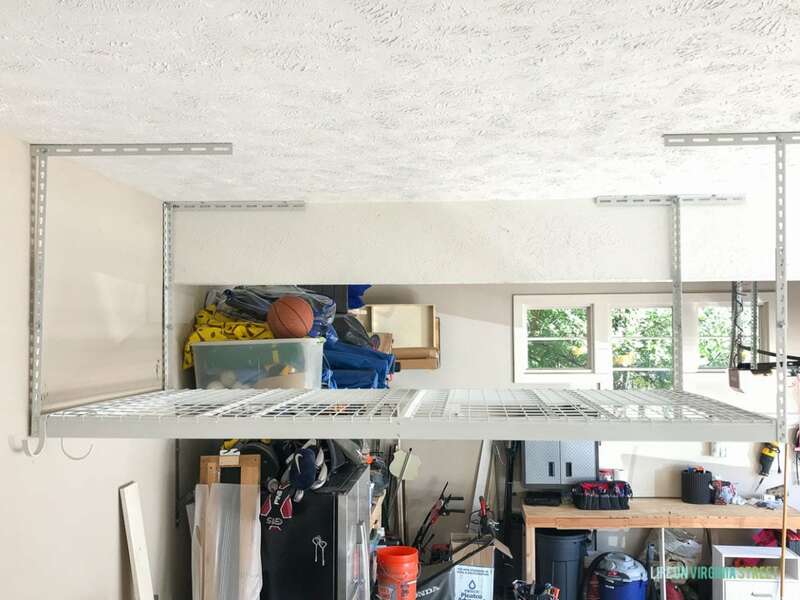 Once we knew our garage was fully secured, we moved on to a few other projects in the garage that have made a big difference in terms of functionality! We added two overhead shelving units to store all of our pool furniture. Last year, we stacked it all in our third car stall, but unfortunately, that made that side of the garage nearly unuseable. Kurtis found these units at Costco and then installed them a few weeks ago. After cleaning our pool furniture, we then stacked it all on the overhead shelves. 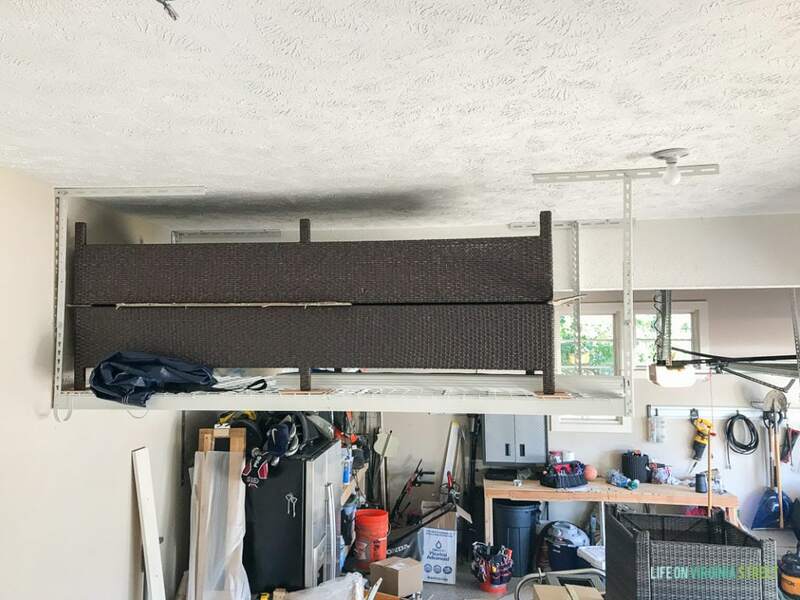 I’m not going to pretend it was an easy feat balancing these chaise lounges overhead on ladders, but we’re so glad we have this alternative now for storing! While I was at Haven this summer, Kurtis also did some major purging and cleaning in our garage. He installed a cabinet to store batteries for our drills/leaf blower/etc. and to serve as a hidden charging station. He also split our tools into two sets (one for our house and one for the rentals). He then added the wall rails to store miscellaneous equipment. As chaotic as it still may look (it is a garage afterall), it has made a huge difference in keeping our tools and supplies organized! And you know I don’t consider any makeover complete without an aesthetic update! 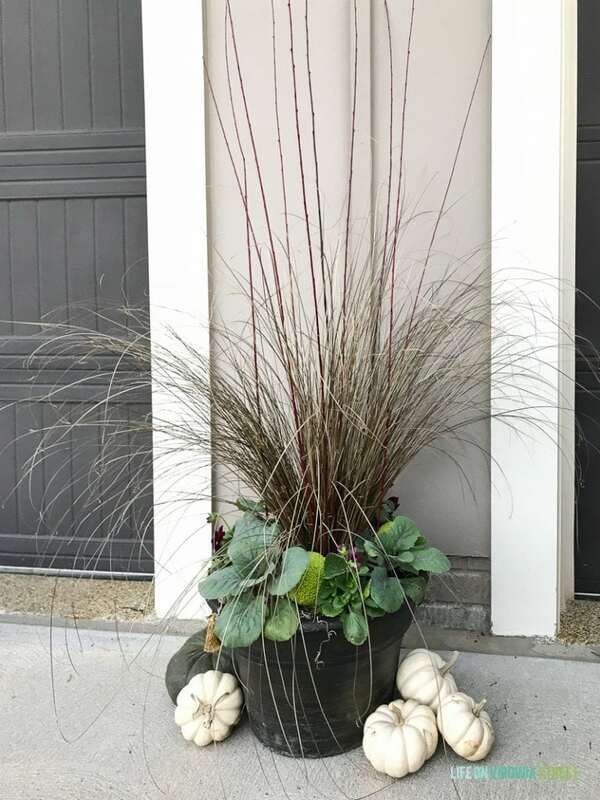 I found these fall planters at a local nursery and absolutely love how they look flanking the garage doors! 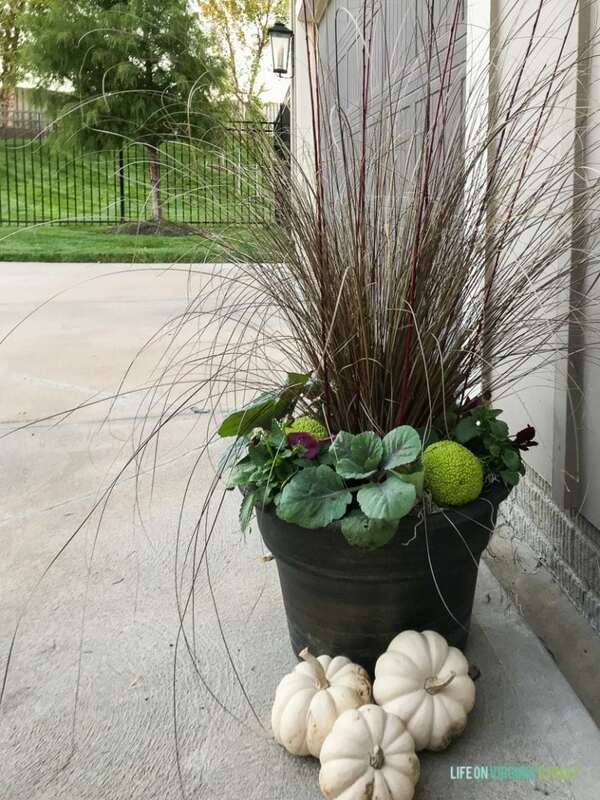 I stacked a few heirloom pumpkins around them to finish off the look for fall. It’s such a pretty view now each time we come home! We’re so happy with these functional and aesthetic updates to our garage. Not only that, we can rest easier knowing that our garage is fully secure any time the doors are closed. A big thank you to LiftMaster for partnering with me on this project! Beautiful makeover! I love the pumpkin. Just a question. How do you disengage the locks if you lose power? Is there a battery backup? Living in Florida, we have lost power for days after a hurricane and would have to have a way to open the door manually. That’s a really great question! And yes, the openers have battery back-ups, so they’ll work even when the power is out. There is also a way to manually disengage the lock should you ever need to. Love the planters. Also, what kind of garage floor do you have. Looking for something different for our garage. Thanks Pam! Our floors are likely one of those DIY epoxy kits (the prior owners had it installed). However, it hasn’t held up well and there are multiple places where it is peeling off. We’re likely going to have to get it redone soon! This is so cool Sarah!! I will definitely check this out 🙂 Love the planters too ! Awesome technology! We definitely could’ve used this last night. You know, when we accidentally left both of our garage doors up overnight. These garage updates are great! I love that app that tells you when it’s closed or open and also the organization ideas. Thanks for sharing!! Thank you! And yes, the app is super helpful to check current status. Especially if you’re already in bed or somewhere else that isn’t easy to manually check! We have two doors (one small and one large), and the app works to control both of them. We just swipe to change which door we are looking at/controlling! Love this garage system. I love how the video shows how secure it is! I didn’t even know something like this existed! The lock feature would definitely give peace of mind. I will have to look into LiftMaster. Thanks so much, Sarah! Oh wow, Sarah, this is such a cool garage door feature and app! 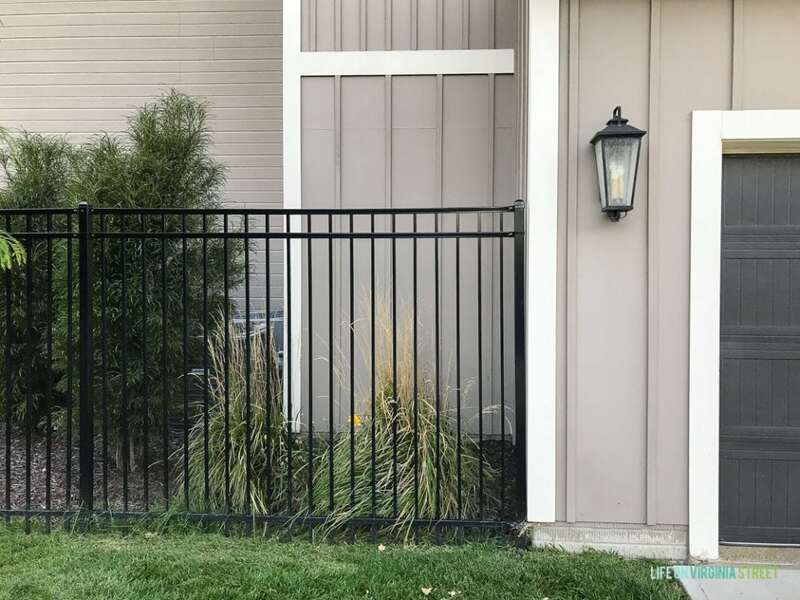 We have had a rash of recent break-ins in our neighborhood too and it would be great to have something like this for a little extra peace of mind! We actually need to replace our garage door openers, as one of our old ones quit working. We bought some replacements, but I think we’ll take them back and get these! Our HOA has a 15 minute garage door rule, actually, which is to help cut down on break ins. Our street faces a wooded area and isn’t very visible in the neighborhood, so we tend to have more crime on our street. 🙁 These look like a great option. Thanks for sharing! !